Obama opens up to the press after 8 months – His last press conference was 2 months before his first campaign rally, way back on March 6th. So what did reporters ask after being given the cold shoulder for more than half a year? The first question from The AP was about Gen. Petraeus, as was a question from NBC News. The rest of the 11 questions (including one shouted out at the end that Obama shrugged off) focused on the fiscal cliff, immigration reform, the attack in Benghazi, climate change, Syria and when Obama might meet with Mitt Romney to talk about ideas for fixing the economy. 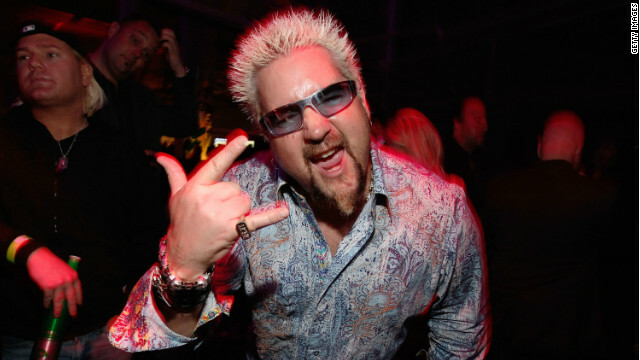 Guy Fieri’s “far from awesome” Chicken Tenders – New York Times food critic Pete Wells gave Fieri’s new Times Square restaurant “Guy’s American Kitchen & Bar” zero out of four stars, plus a rating of “POOR” just to get the point across. Some are saying Wells went over the line is his criticism and tone, but he told CNN "If wanting nachos and fries that taste good and don't make you want to avert your eyes makes you an elitist, then I guess I am." This nachos are so good! Please read the section on goose creek football ban from playoffs.